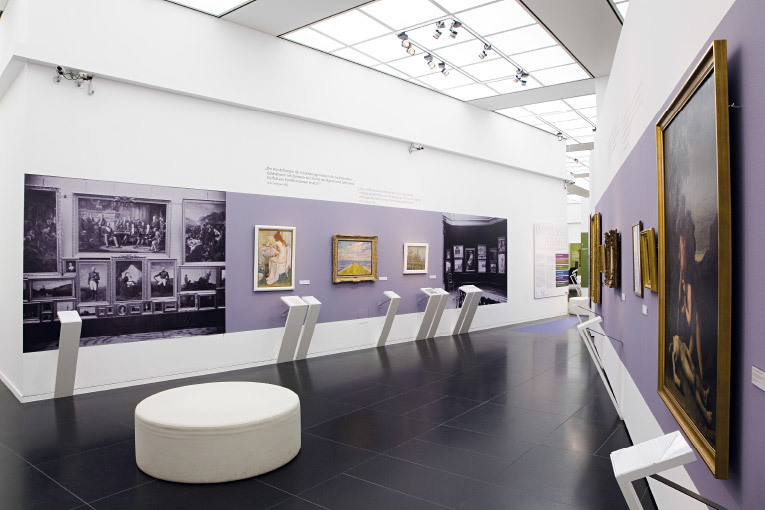 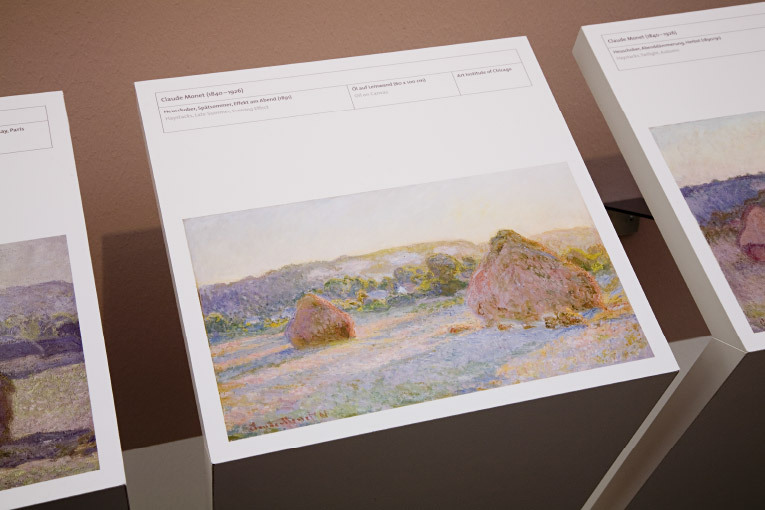 The exhibition presents not only masterworks of Impressionism, including works by Manet, Cezanne, Renoir and Pissaro, it also takes a look beneath the surface of the paintings using X-ray and infra-red images. 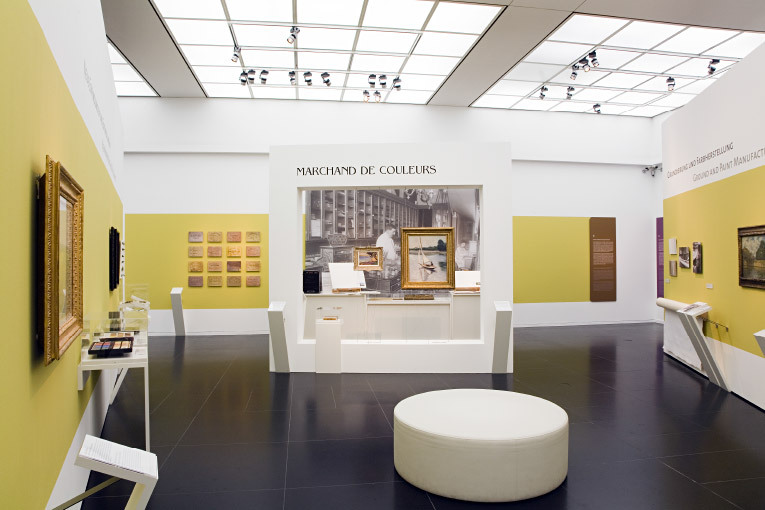 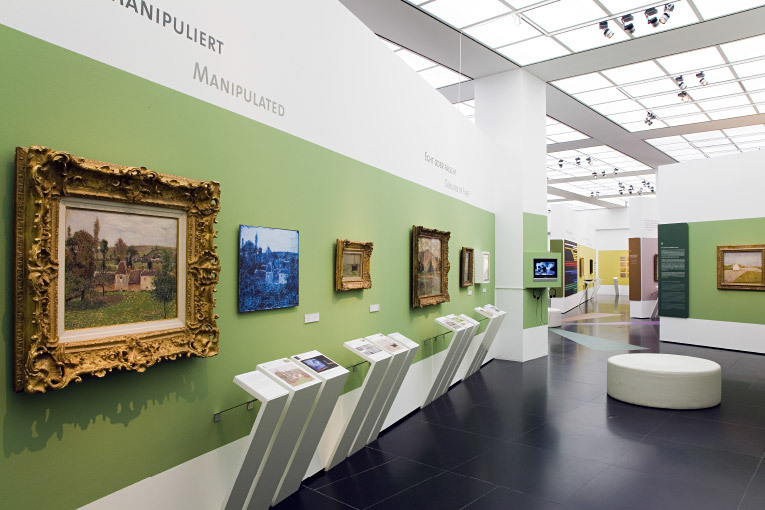 Hands-on experiments and lots of exhibits demonstrate to visitors how paintings are produced. 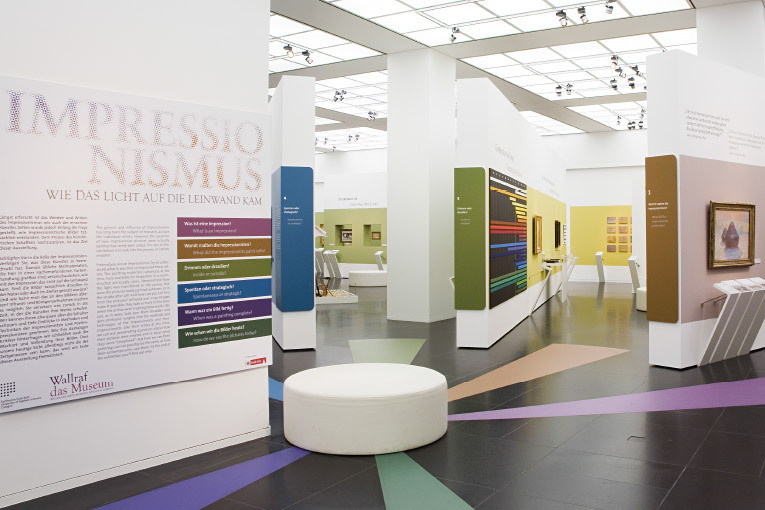 Contexts are explained in detail at numerous information stands. 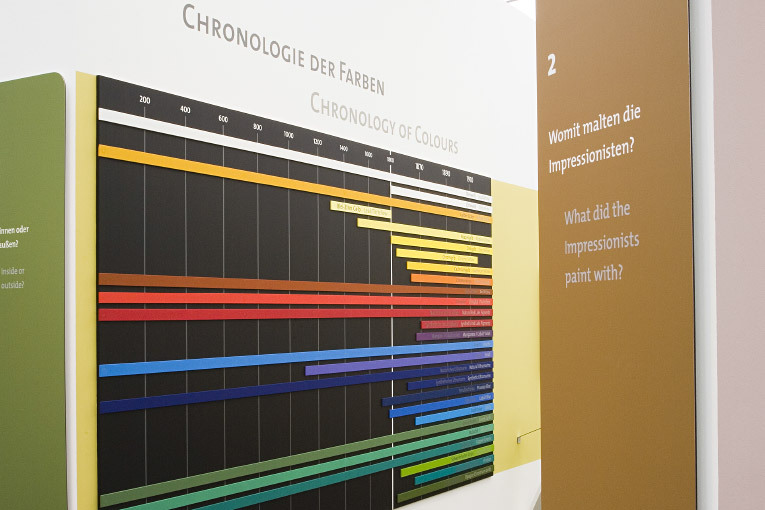 Each of the 6 exhibition chapters radiating from the starting point is presented in an appropriate colour and style.